Greenview at Winter Pines, Winter Park - Don't miss your chance to own a one-of-a-kind 4 bedroom 3 bathroom home in the desirable Winter Park Pines neighborhood. Unique interior features include vaulted ceilings, double-sided fireplace, multiple skylights, and garden tub in the master bath. There is a screened in porch off the master suite that overlooks a courtyard with koi pond. The courtyard separates the main house from an in-law suite. 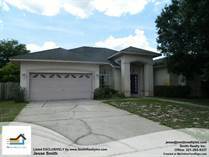 The house is across from the Winter Park Golf Course, close to Cady Way Trail and in an excellent school district with no Homeowner's Association. Buyer's may qualify for the HomePath Ready Buyer Program. See attachments for more information. This is a Fannie Mae Homepath property. Orlando Acres, Orlando - GREAT LOT! Just under a 1/2 acre in East Orlando. Terrific starter home or fantastic investment property opportunity with tons of space. 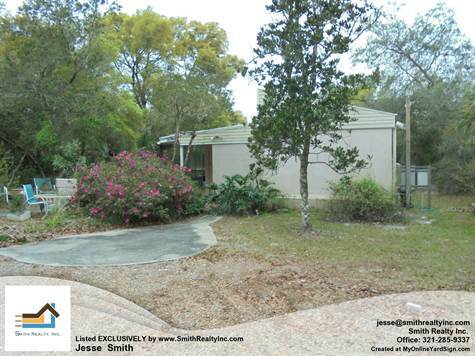 Great sized 3 bed/2 bath with a rear screen porch. Plenty of room to grow here and fully wheelchair accessible. Get in a schedule a showing today! 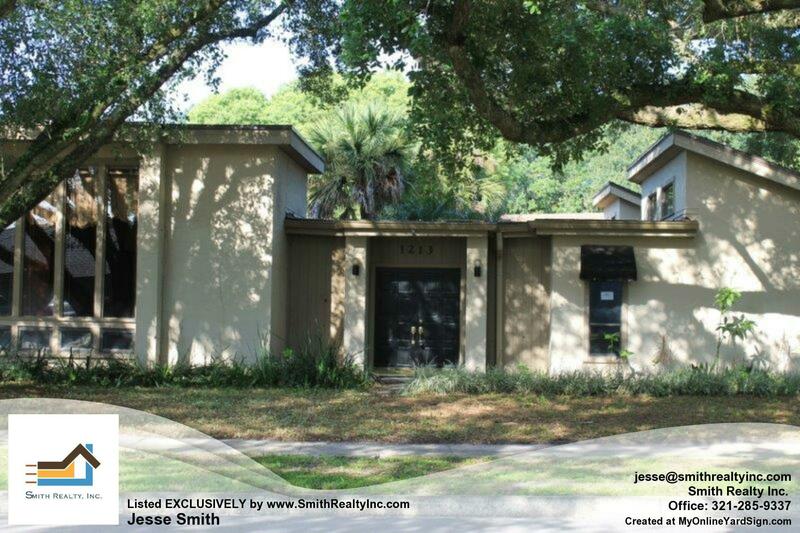 Oxford Square, Casselberry - A spacious 2 bedroom 2 bath pool view home located in sought after Oxford Square Condominiums. 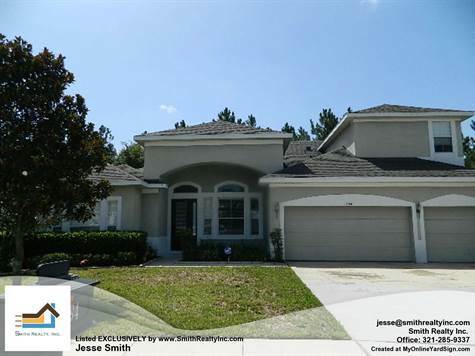 Centrally located in Casselberry with access to all the major roadways as well as shopping, dining and entertainment. Lots of storage and a true split floor plan, this home is sure to please. Come check out the view from your balcony and enjoy resort style living everyday. Call your agent today because it may be gone tomorrow. This is a Fannie Mae HomePath property. 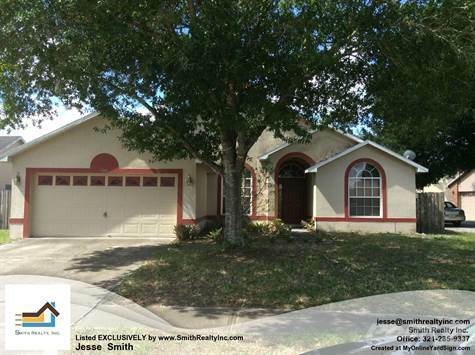 Valencia Place, Orlando - This 3 bedroom 2 bathroom homes is conveniently located near Valencia College East and only about 20 minutes from UCF. This is just minutes away from 417, 528 and downtown Orlando. Home includes a large kitchen area with eat in dining area. Living room has sliding glass doors that lead right into a screened in patio with pool. All room sizes to be determined by buyer if needed. This is a Fannie Mae property. 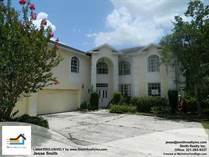 Kensington Manor, Ocoee - Beautiful Kensington Manor Executive home is ready for you. Enjoy over 3200 square feet of well laid out living area plus a 3 car garage and rear covered patio with no rear neighbors. Enter to see an open and stately formal dining and living area flowing into a split master bedroom and master bath suite as well as a full guest bath and secondary bedroom. It keeps going as you enter the kitchen and dining space with view of the wooded rear yard as well as a large family room. Your 3rd and 4th bedrooms also offer a full bath and high ceilings. Need some extra space, then head up to the second floor with an additional large den/game area, a full bath and an additional bedroom. All the space you could need and a great community with recreational areas and a pool just steps away. Don't miss out and schedule a showing today! NONE, Geneva - Are you looking for a great home with plenty of room to roam? This is what you are looking for!!!! This home offers 5 acres for any outdoor activity you can think of, an attached 2 car garage, plus a huge stone screen enclosed shamu wading pool with a custom stone diving platform. That was just the outside. Enter to a formal dining area with full glass French door panels leading to a great open family room and kitchen. Enjoy the master suite which includes a nursery or bonus office space. In this split plan there are 3 additional generous secondary bedrooms and a 2nd floor additional master suite. All rooms are connected with an intercom and stereo sound system. This home will not disappoint. Schedule a showing today! This is a Fannie Mae HomePath property. NONE, Geneva - Don't wait to see this bright and airy 3 bedroom 2 bathroom home that sits on 4.85 acres! Interior features include a master suite with his and hers closets and powder rooms. Outside there is a small basketball court for fun and exercise. There is a workshop/storage building that has plumbing. This is a Fannie Mae Homepath property. Kings Grant East, Kendall - Fantastic investment opportunity! Home occupied by strong-tenant paying $950 per month. The house is beautifully updated with two bedrooms and two bathrooms in the Kings Grant subdivision. Fresh paint, new carpet and updated kitchen. Fenced in backyard with large open patio. This home is occupied so please don't disturb tenants. 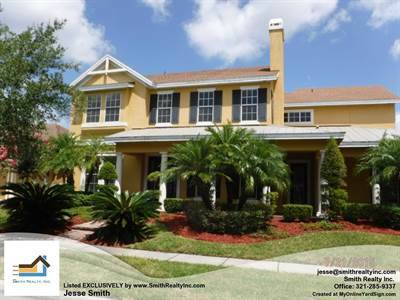 Bentley Woods, Oviedo - Great home in the heart of Oviedo! Convenient location, near major highways, great schools, County Trail, shopping and dining. This 3 bedroom 2 bath home offers a wonderful bright layout with formal living and dining areas, large family room all which open to a screen enclosed porch. Bring all your outdoor toys and enjoy the fenced backyard. Property is being sold subject to HUD Guidelines 24 CFR 206.125.Per Fannie Mae guidelines, all submitted offers will not be addressed until the property has been listed on MLS for 3 days.